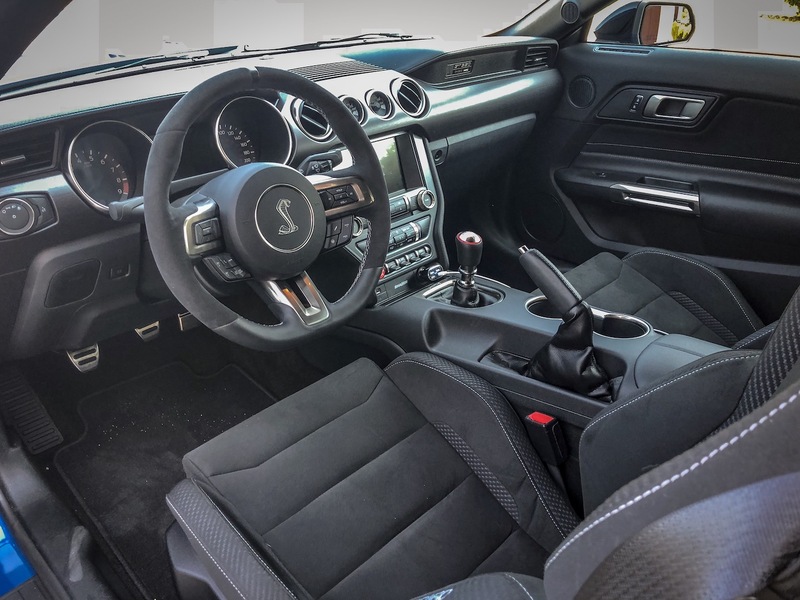 So after 3 years and 8 months with my 2015 Mustang GT 5.0 with Performance Package, leather Recaros, navigation, and of course a manual gearbox (in 2015 the Performance Pack on the EcoBoost and GT could only be had with a manual. 2016 allowed an automatic), I have moved on. 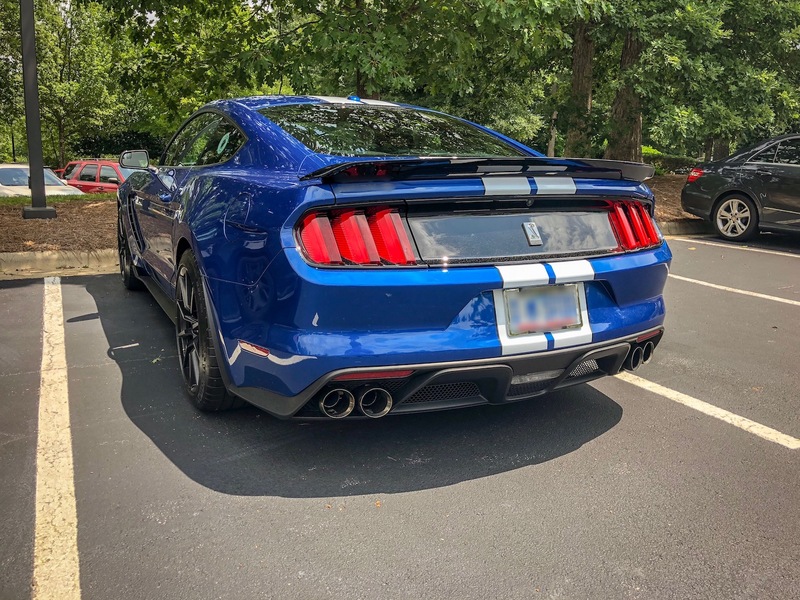 I found a brand new 2017 Shelby GT350 in Lightning Blue with white racing stripes. It was a fully loaded car complete with electronics package and the cloth/suede Recaro buckets. 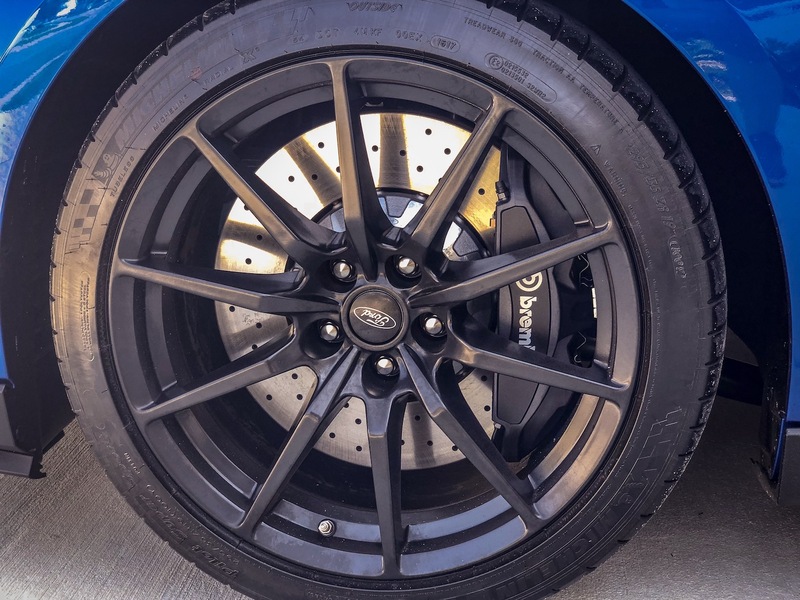 All information above was pasted from Ford’s website, that’s why you see the registered trademark logo. So what made me get rid of my 55,349 mile GT that I’ve had since December 11, 2014? 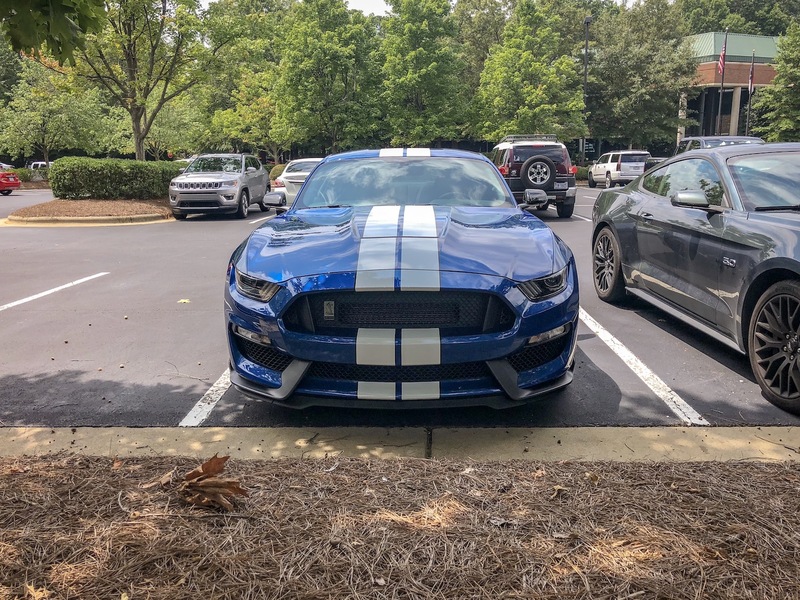 Easy, it’s a GT350, dude. 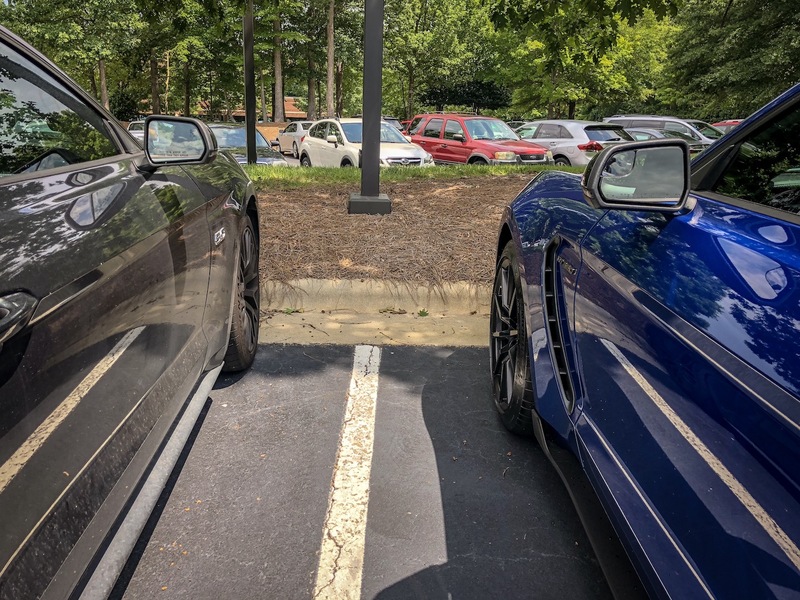 But really, I was rather reluctant, because I know there aren’t a lot of Guard Metallic GTs with Performance Package and leather Recaros that were built and sold. Plus, Guard was only available in 2015. 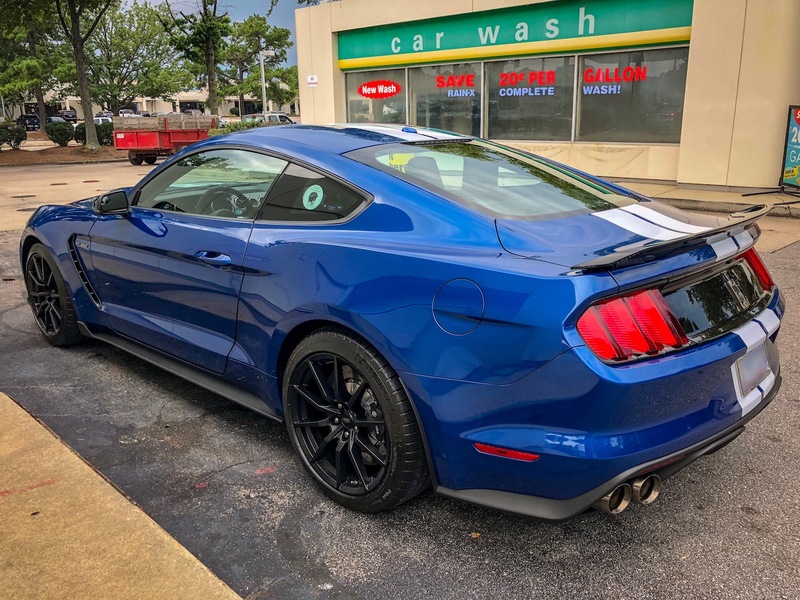 As far as I was concerned I had a Bullitt S550 Mustang before Ford brought it back for 2019. Happily, I worked out a deal with a local dealer who took my car in on trade, and sold it to my older brother at my payoff. So, let me tell you, he got a hell of a deal. 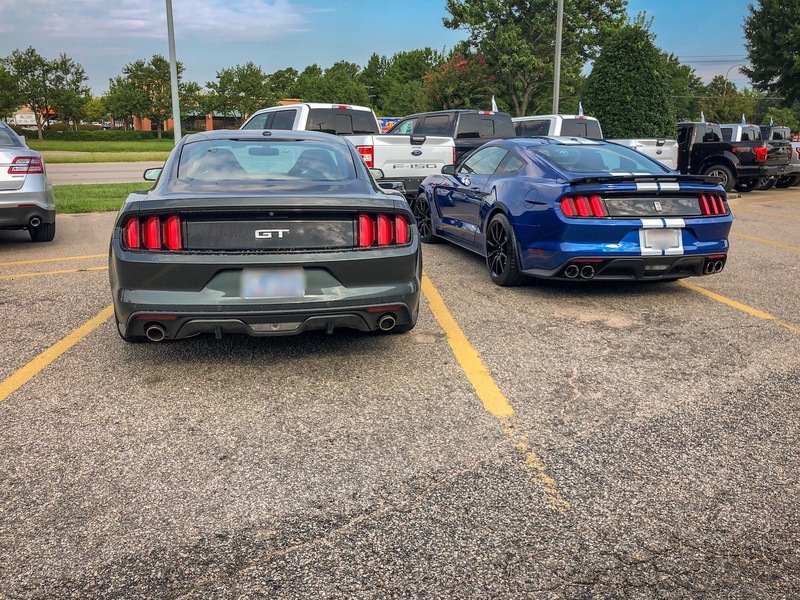 While I was salivating over the GT350, I had the chance to grab either a 2018 Performance Package 2 Mustang built to my specs, or a 2019 Bullitt. 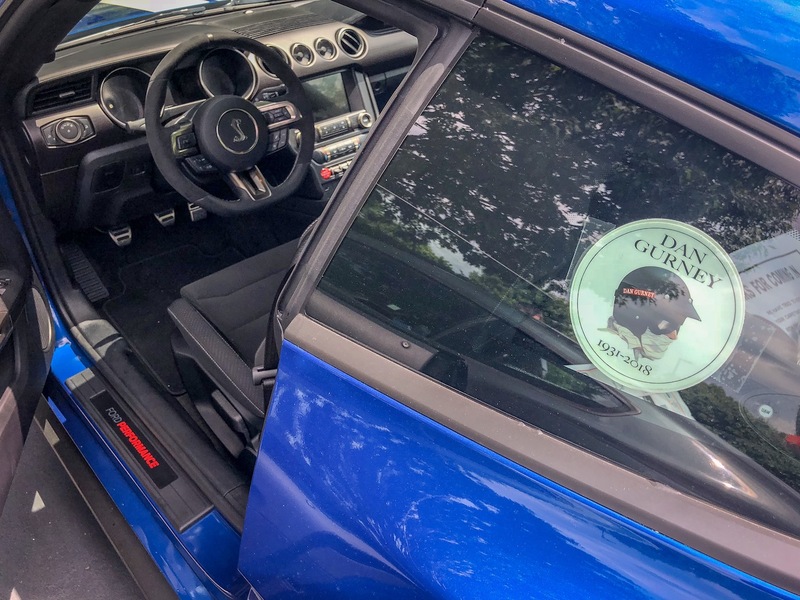 I had a 2008 Bullitt, so it was assumed that I would buy the Bullitt since I’m such a huge Steve McQueen and Bullitt film fan. 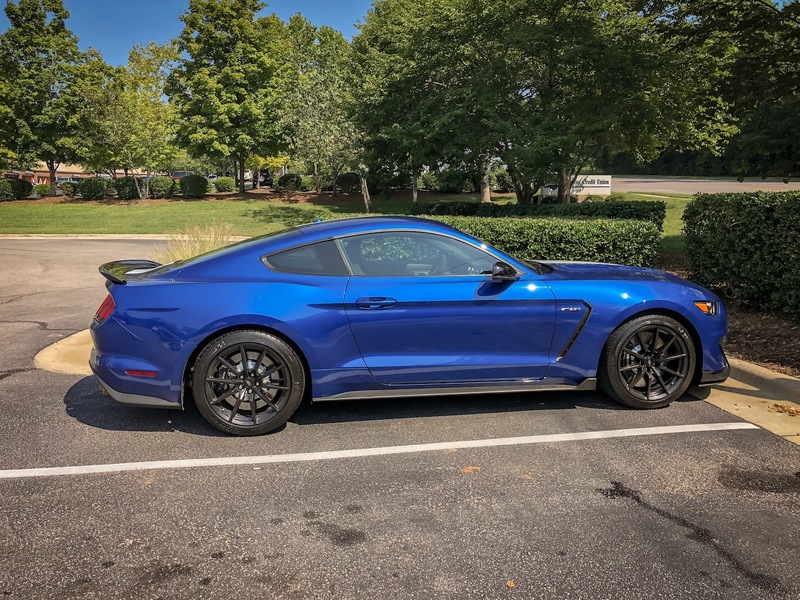 However, how do you turn down a GT350? 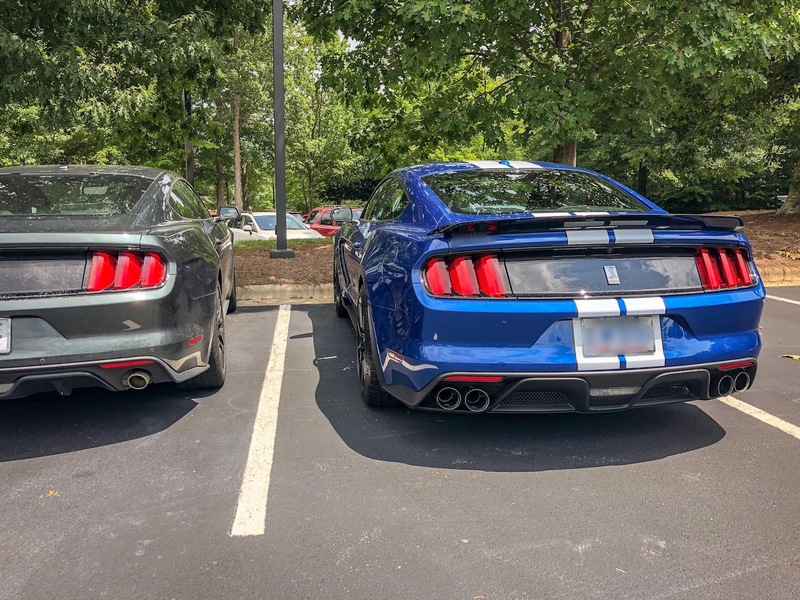 Interestingly, I’m not a huge Shelby guy. I think they mostly have too much horsepower and not enough handling. 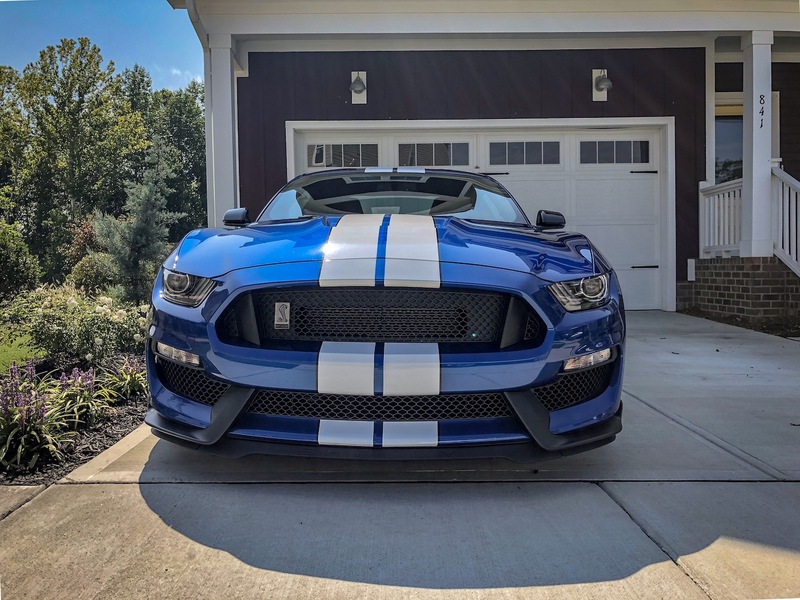 I think the GT500 is a hell of a cool car, but the ’60s GT350 was, for me, was always the far superior car. Even when watching “Gone in 60 Seconds”, I don’t like the Eleanor Mustang trend. I love the movie, but think the car is just meh. 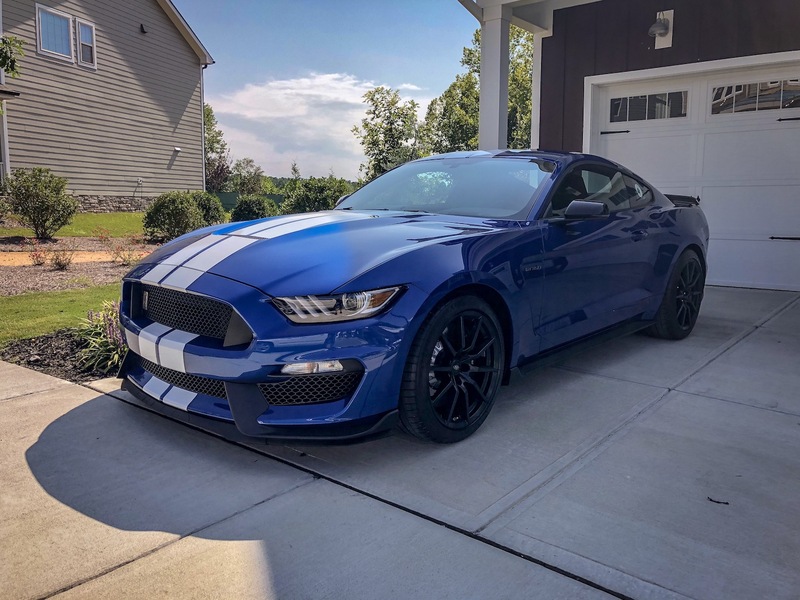 I’ve always wanted a Shelby GT350, and now I finally got that chance. 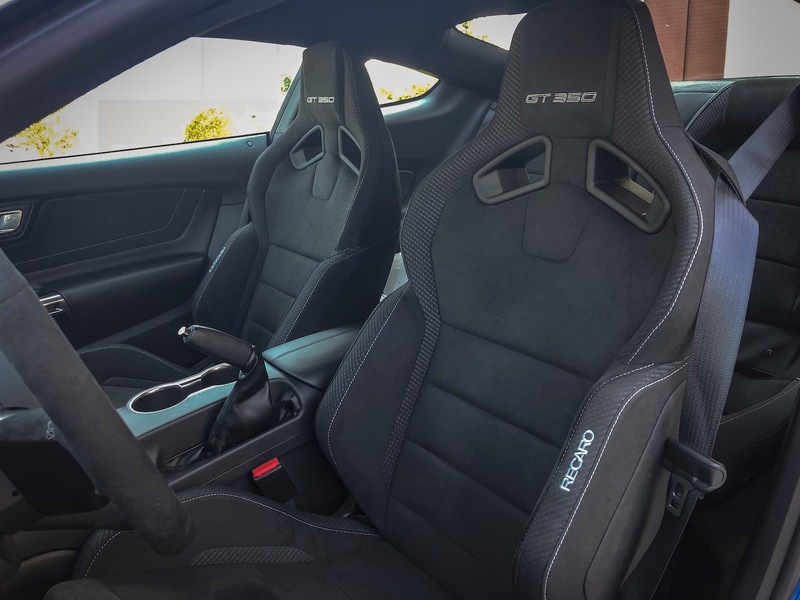 I wish I could have waited for the new 2019 with all its updates, but this deal was too good to pass up. 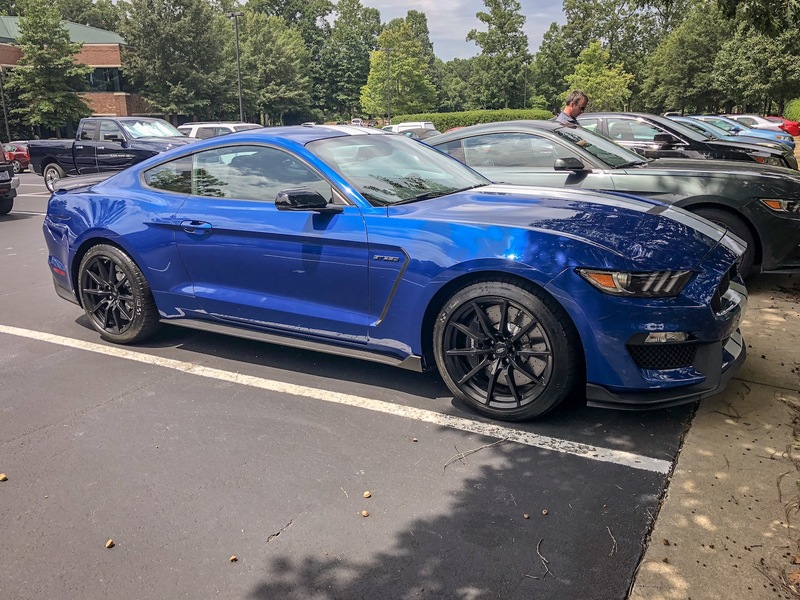 I’m going to love this car a lot, but I’m more happy that Aly, my 2015 Mustang GT, goes to my brother. 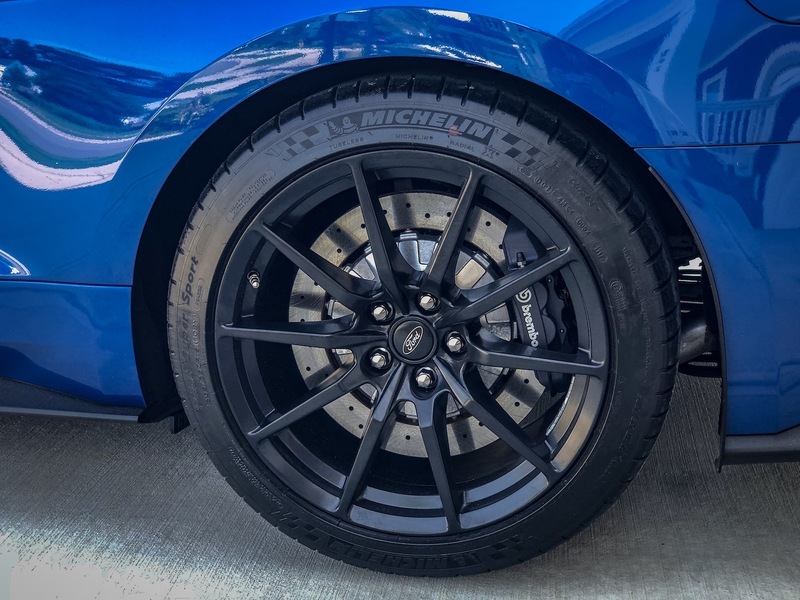 He’s already added a cold air intake, tuner, cross-drilled rotors front and rear, and a Roush axle-back exhaust. 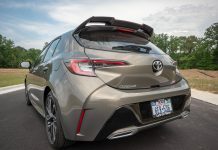 With the updates, the 2015 goes from 435 horsepower and 400 lb-ft of torque to, probably, around 460 horsepower and 450 lb-ft of torque. Maybe more. 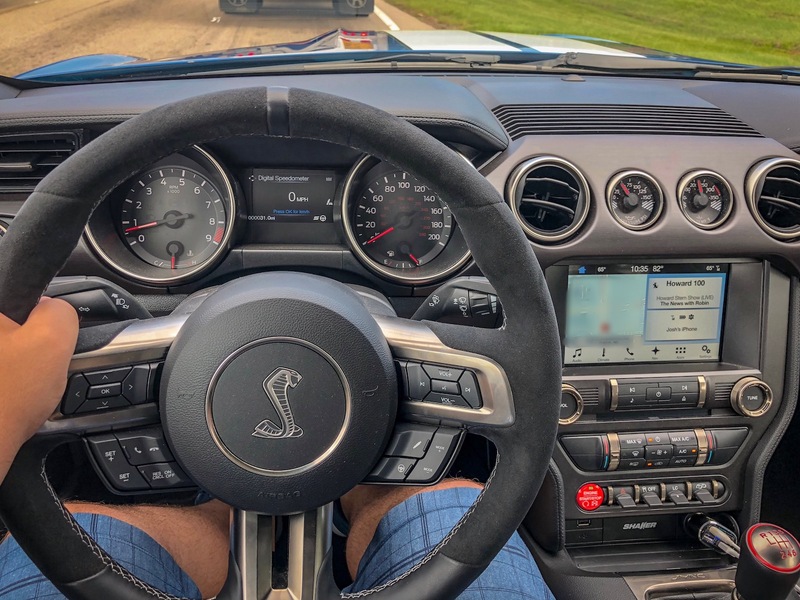 The Shelby GT350 offers 526 horsies with 429 lb-ft of torque. Don’t worry, I’m going to make a few videos soon. 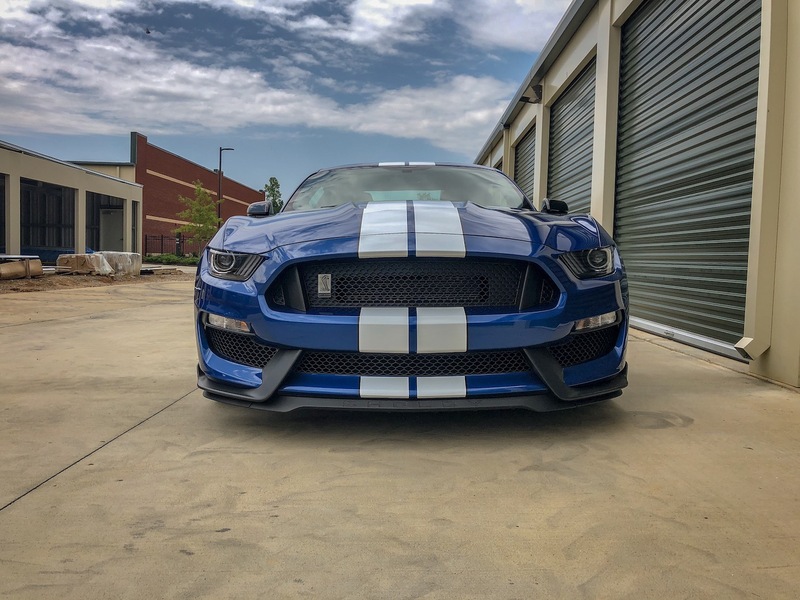 One is introducing the GT350 and talking about owning it versus the regular GT, and at least one performance video featuring both cars.